Yesterday was the due date of my scheduled home visit from the psychiatric services. I have a new male Irish nurse, David, and one of the former female CPN’s, Sharon… I do not seek treatment in any way but as I am under one of these new-fangled Community Treatment Orders, I am compelled to receive these unwanted guests in my home. I have learnt over the years that no matter how pleasant you are to these people, they always rear up and bite you in the neck when you least expect it. It always ends up in tears, your tears, as they cart you off to the nuthouse, lock you down and drug and torture you for months on end. They always begin the same, explaining their petty mission statements and decrying how their sole aim in life in to prevent you being hospitalised. I sound, perhaps, a little sceptical of the system, to the non-inductee, but it’s just being frank. The harsh reality is that if their aim is to keep everyone out of hospital they’ll be out of jobs. I am not a naturally hostile person – but toe to toe with the enemy I will react verbally, especially when in the comfort of my own home. 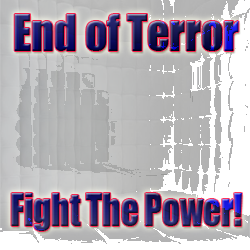 Perhaps the creation of the End Of Terror Organisation has me on edge and fired up a little more than usual. Anyway, pretty soon into the session, I hear myself being repeatedly accused of ‘lacking courtesy’. It’s so typical of these ill-educated drones, to take a poshish sounding word, and twist its meaning completely. I call it psychiatry doublespeak. It must come out in the training and indoctrination of mental health workers. the lexicon of mental health workers is bizarre to say the least. They hammer on and on, repeating accusations of you fulfilling some negative criteria, twisting the meaning of the word from its actual meaning and using it in a special mental health way. It always is done to satisfy their most basic of needs, to prove that they are mentally superior to you as a human and that you are mentally inferior. They went on babbling ‘lacking courtesy’ and then went into their more typical recent finger-pointing accusations of me ‘intimidating’ them. Apparently my music-making and poker-playing intimidated them a couple of months ago and since then, every thing I say or do or they imagine me to say or do is designed for intimidating them as individuals and as part of a wider organisation. I tried explaining what intimidation meant to me. 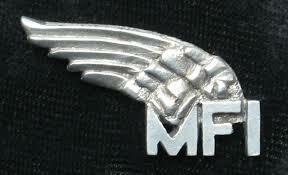 I said it conjured up images of Italian Street Mafia in New York extorting money from shopkeepers for protection. That to me is intimidation. Or maybe it is the action of an aggressive drunk in a pub? I was told that I was still lacking courtesy when trying to point out their linguistic fallacies. ‘Why should I be courteous? I don’t want to be seeing you – You force yourselves upon me. If you are uncomfortable, simply don’t come around….’ While on the point of linguistics I tried hammering home my opinions of the definition of healthcare , medicine and doctors… One seeks treatment from doctors to get advice on health matters which one can then choose to accept or reject and act accordingly depending on their own views. Health care should not be enforced at gunpoint upon people who neither seek or choose it. Like a red rag to a bull, when you criticise their belief system, we went back to my lack of courtesy and how it demonstrates I am ‘mentally ill’ They were there as the law says they have to be there. They are good people doing their job, keeping evil me away from all the harm I cause the public and community. They went on to say that they would get the psychiatrist to enforce by law that I had to be courteous to them from now on. They would make it part of the conditions of my Community Treatment Order. I just chuckled at their whole misinterpretation of law and what is actually legally allowed. Since when has discourtesy become an offence? I asked on whose authority the psychiatrist could do this, on what grounds and who appointed him with such powers. – ‘Oh The Queen did… She signed off the Act of Parliament making it lawful’ – You see – the legal can of worms is vast… Lacking courtesy is not a criminal offense in Britain, but these automatons have a very limited understanding of what is legal and what isn’t. Human Rights Law is overwritten by the Mental Health Act according to the mental health indoctrination for workers. The Mental Health Act gives any of them any power to do anything they like, including deciding whether me being rude becomes a criminal offense. Of course, I’m on shady ground as they can lock me up at any stage and as they have done in the past, can do at any stage in the future. 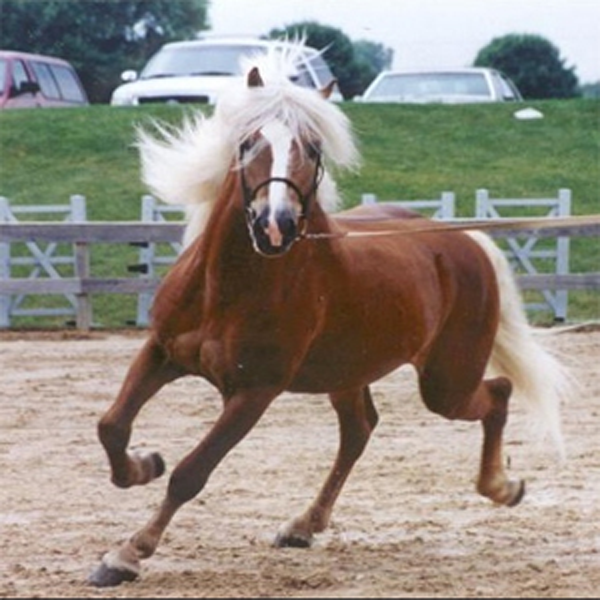 When the horse bolts, the stable door cannot withstand the pressure and the system wheels in motion have you carted off before you can muster up a whisper of resistance. I was told that all I was doing was philosophising, how they were simply individuals, doing their jobs, accepting orders from above and complying with the law. I tried explaining that I was trying to help them. the train is off the track on this windy out of control system. They’ve forgotten which carriage contains the controls. the only way the mental health system will ever change is when those within force that change themselves. When I say those within, I don’t include myself. Yes, I’m a patient, but in addition to mental health, I have a real life, in real society, forging relationships with real people. normal people. Yes – I get locked up far to frequently and have to endure these ‘thought crime examination’ sessions on a very regular basis. But asides from that I think very little of mental health. In my own views I have no health issues with my head or brain. This ‘illness’ doesn’t affect my life in any way. It scares the hell out of me, though, that these people will not simply go away and leave me alone. They have journeyed too far to turn back and I am wedged so deep in the system that they don’t know how to let go. they just keep prying and trying to entangle me in a death roll. Obviously the only choice is to resist. Never be beat. That is survival. But I do dream longingly of a time when they will disappear, when the system will evaporate. How can this be possible? Born in 356 BC, son of Philip the Macedon, Alexander the Great, achieved more than he could ever imagine, more than any man had ever achieved to that point in time. He left his home, raised an army, and marched across the earth, from Egypt to Persia, from Greece to India. By the time of his premature death at the age of 32, he had conquered the whole of the known world. he is one of the most revered characters in world history. However, Alexander was disappointed at being unable o fulfill his ambitions and goals. He knew that there was more to conquer and wanted to keep going. Of course he was correct in this presumption. The trouble was, that, as great a general he was, perhaps the finest military campaigner the world has ever seen, to achieve his lofty desires, Alexander couldn’t go it alone. He needed the support of his men. His army was comprised of a core of his loyal supporters, but also as his empire expanded, soldiers were recruited from across all his territories. It was a global hotchpotch of the hardened fighting men. Full of spirit and testosterone they willingly gave their all to stand alongside the great victor. But years on the road, and endless miles away from home and families took their eventual toll. Not perhaps on Alexander. He was happy with his horse, Bucephalus, and his gay lover and best friend, Hephaestion. the exotic nature of his adventures had taken their toll on his outlook. He had forced most of his leading men to abandon their wives at home and take on Persian brides. Eventually in the midst of an Indian campaign, coming up against the might of War Elephants, and having to withstand the arduous conditions of the Hindu Cush, Alexander’s men said ‘enough is enough’. Unease in the ranks had spread, soldier by soldier, right the way up to the top to his leading generals. They had seen and taken far more than they had ever bargained for. They now wished to return home, to a peaceful existence. 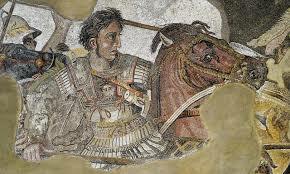 The revolt of his men meant that a line had to be drawn in the sand and Alexander was forced to concede defeat and turn back. For all his fighting, his own men, those most loyal to him, finally pulled the plug on it all. The lack of faith in him didn’t sit comfortably with Alexander, and out there on the edge of the abyss, his spirit wheezed and weakened and left him. Soon after returning West, an innocuous minor illness seized his enfeebled body and in 323BC, in the heart of Babylon, Alexander the Great departed from this world. These mental health footsoldiers have to realise, to understand the realities of their system. To endlessly march on the orders from above, without considering one’s own thinking and beliefs, is good for a strong army up to a point. Eventually the powers of goodness will triumph over any individual’s need. If every mental patient can just sow the seeds of doubt into the frontline workers, then eventually it will be them that bring down the whole system, like a pack of cards, from within. It is blatantly obvious to me, as a long term patient, that no matter how hard I try, my voice will not be heard from above. The sinister controllers at the top of psychiatry, who love in a murky David Ickesque illuminati world, who govern the goals agenda and action plans of all beneath them, will never be defeated by their enemy. If, on the other hand, their own troops can be realigned, if the indoctrination somehow fails,, maybe the revolution will result. There’s only so much space in the Swiss Vaults for Drugs Companies to store their cash. The whole system will be brought down from within. It is so insular, the god being prayed to is so false, eventually sheer overwhelming people power and common sense will turn the beast upon itself and it will be devoured. A foundation of sand is a silly place to build a skyscraper, as tall and as wonderful as that monolith is intended to look. This entry was posted in Personal Mental Health Experience and tagged End Of Terror, Health, Mental disorder, Mental health, Psychiatric hospital, Psychiatry on 4th October 2011 by Wez G.